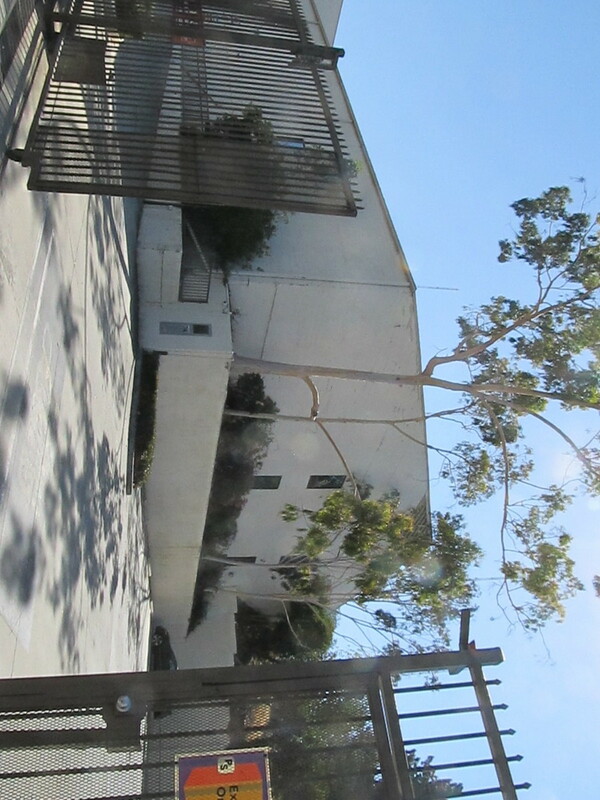 It said that one of the buildings from the old studio still exists, and that it has a small historical marker out in front of it. So with that, we had a bit of sightseeing for today’s ride. We took a slightly roundabout route to get to Huntington Drive for the ride into downtown. Along the way, we saw that the wrecked car we saw last Sunday was gone, and most of the debris was cleaned up, but I still made a point of staying as far away from that crushed glass as I could. Then we rode the last bit into downtown. We stopped briefly to look at the construction site where Metro is building the entrance to the tunnel on 1st St for the Regional Connector. 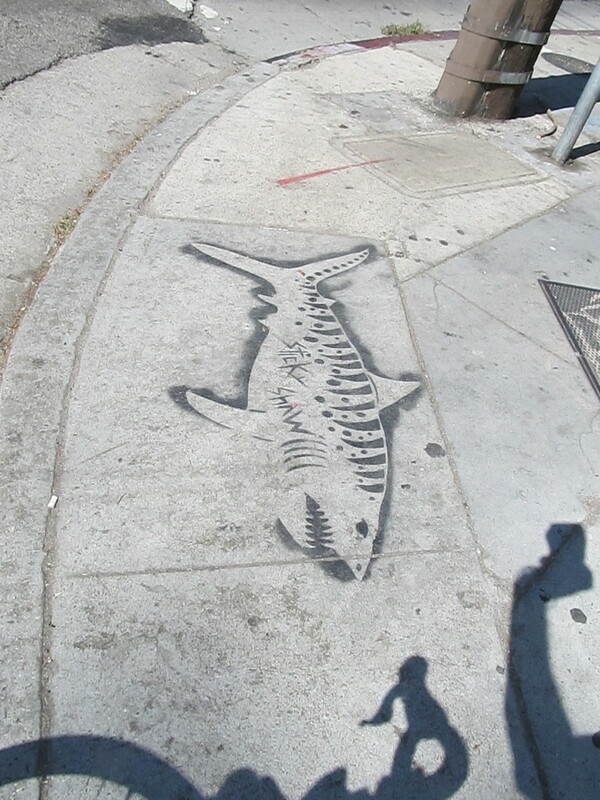 We rode across downtown and then up to Echo Park. 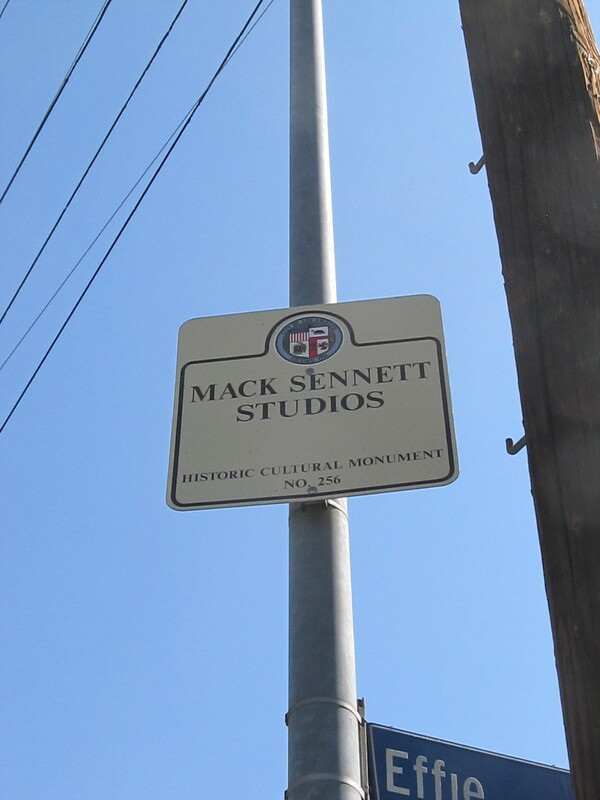 We took the small side trip to see the old Mack Sennett Studios building. 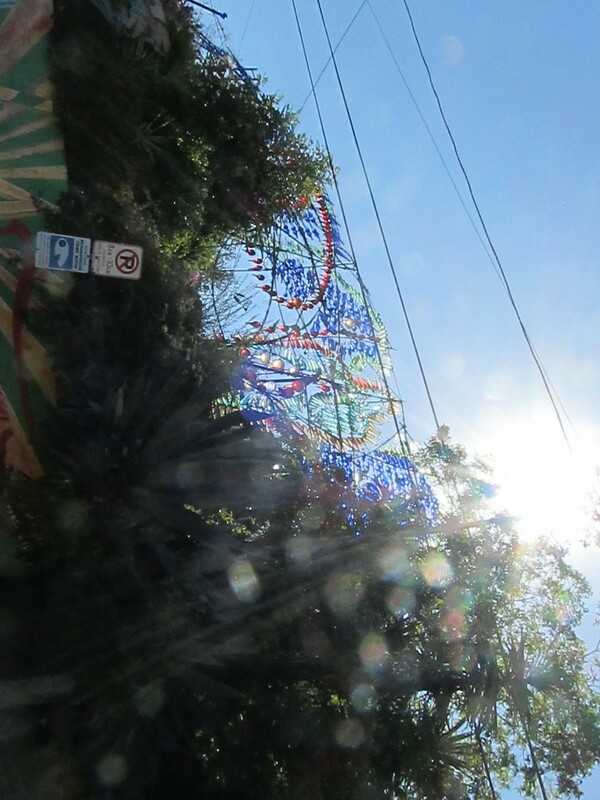 Then we doubled back, passing by Randyland to our snack stop at Pollen. We’re all still a bit shell-shocked by Chango Coffee closing, so we d wanted to try yet another place in the same neighborhood. It was nice, but table service only, which is a little inconvenient from our point of view. 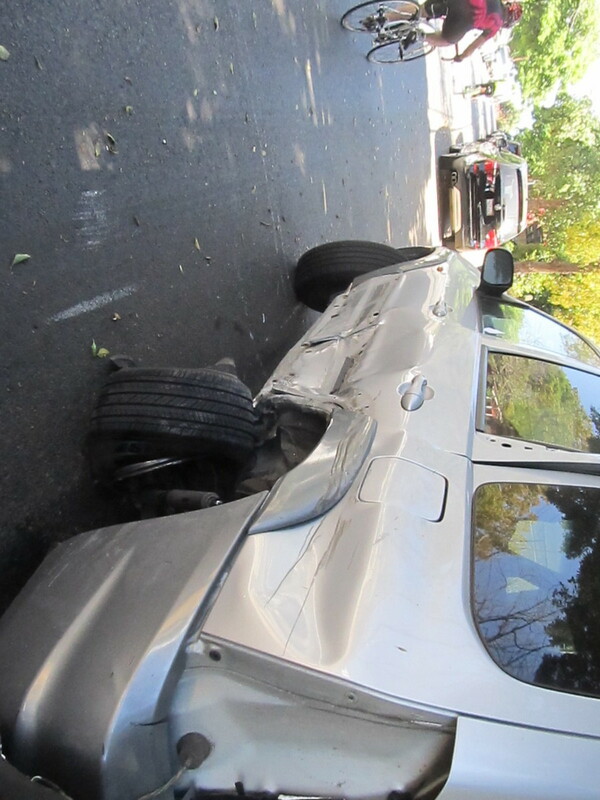 On the way out of Echo Park, we saw yet another car that looked like it was wrecked while being peacefully parked. At the south end of the L.A. River bike path, we got on Figueroa St, only to ride right into a monumental traffic jam. 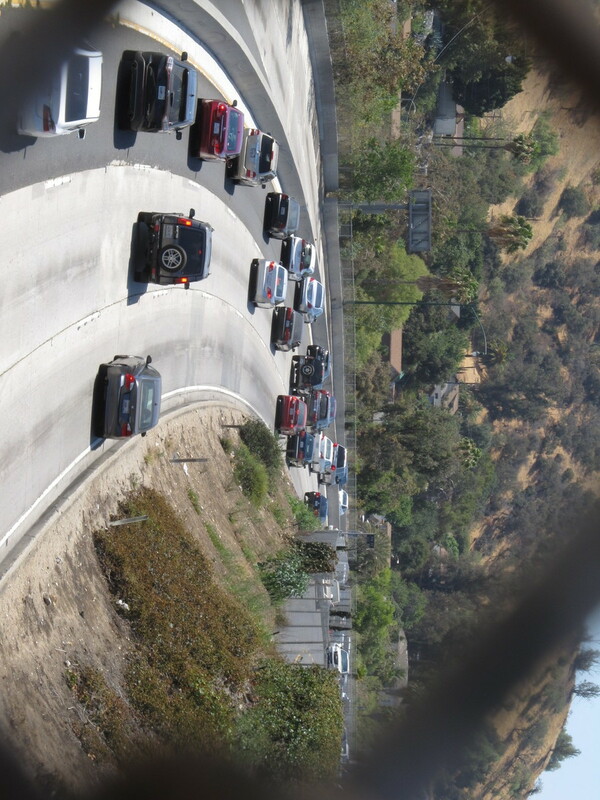 We later found out it was caused by some guy who was threatening to jump off the Ave 26 bridge over the Pasadena Freeway. 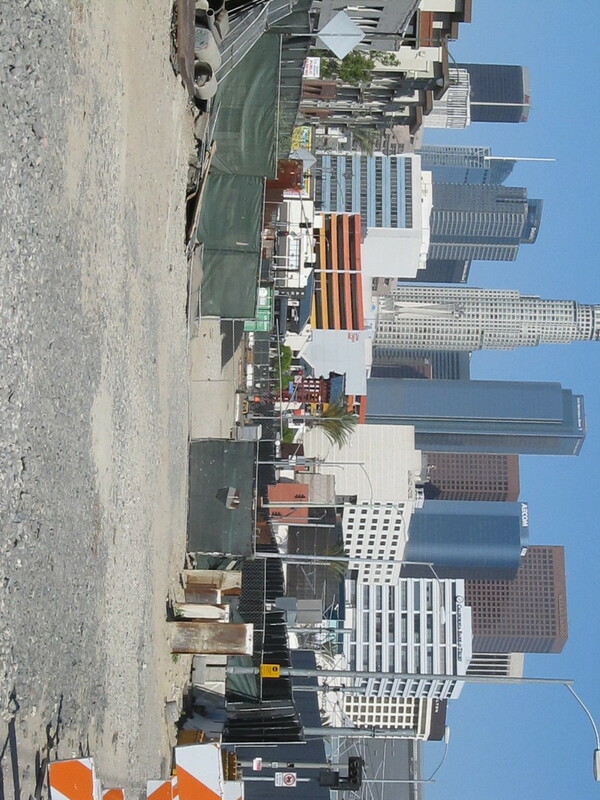 So both sides of the freeway were closed, and all the traffic spilled over onto Figueroa. It was a mess, although I read later that they managed to save the guy.